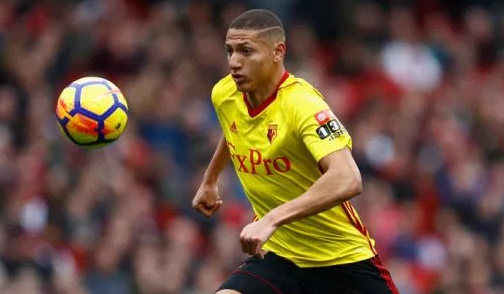 One of the popular professional football Player is named as Richarlison de Andrade who plays for Everton Football Club and the Brazil National Team. He is popularly known as Richarlison. He is well known Brazilian celebrity. He is famous for contribution to professional life. His is best at Winger position. Currently, he is playing for Everton Football Club. He had played for Watford, Fluminense, America Mineiro and many more. He is right foot player. His Shirt number is 30 for Everton and 18 for Brazil National Team. Countinho is one of his best teammates. He is one of the very talented player of Brazil. Being one of the most exciting wingers in the English Premier League. His great performances for Watford helped him earn a big transfer move to Merseyside giants, Everton FC. Passionate and enthusiastic player, Richarlison was born on 10th May 1997. He was born and raised in Nova Venecia, the city of Brazil. He has not revealed more information regarding his family. His nationality is Brazilian. His astrological sign is Tauras. At the age of small, he began his Football Career. He started his professional career with America Mineiro in 2015, winning promotion from the Campeonato Brasileiro Serie B in his only season before transferring to Fluminense. Talking about his body, his height is 1.79 m. His weight is of 71 Kg. He has balanced body with good health. 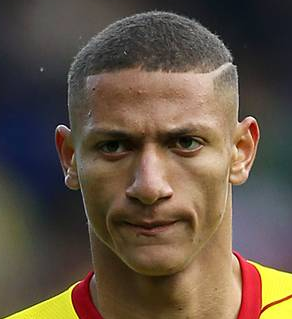 Brilliant player, Richarlison started his career joining Amerca Mineiro Youth Club in December 2014. Later, in the month of June, he got his promotion from his manager. He made his debut for this club on 4th July 2015 where the team won by the score of 3-1 against the team Mogi Mririm where he played as a substitution for Cristiano and scored the goal for the club. He also played in the Campeonato Brasileiro Seria A where the match ended with the draw game of 1-1 score against 1-1. After playing for America Mineiro, he signed an agreement of 5 years with the club, Fluminense on 29th December 2015. He made his debut for this club against Ferroviaria with the home draw of the 3-3 score. After 2 days, he made his league debut by against the club America Mineiro with winning score of 1-1. He made his first goal in the 26th June with the winning score of 2-1 against Flamengo. In 2017, he took part in the continental competition, 2017 Copa Sudamericana. He also played another four games in Rio de Janeiro based club's run to quarterfinals and win the game over the club, Liverpool and Universidad Catolica. Later on 2017 August, he shifted to the English club, Watford. He signed for this club with the transfer fee of £11.2 million for five year. He made his debut for this club against Liverpool withdraw score of 3-3. He scored his first goal against the club, Bournemouth on 19th August with winning score of 2-0. He was the best player to play all the game of League season. For this club, he made 5 goals in all. On 2018, the month of July, he moved to Everton, Premier League Club with the transfer fee of £35 million and made his debut against Wolverhampton Wanderers withdraw score of 2-2. He was signed by Marco Silva. Currently, he is playing for this club. He is playing very actively for this club. Richarlison represented himself in his national country, Brazil in both senior as well as junior levels in many tournaments. On 27th August 2018, he received his first call-up to the senior team by coach Tite, for a friendly match against the United States and El Salvador. He scored his first goals for Brazil in the latter match on 11th September, netting twice in a 5–0 win. Very talented player, Richarlison has not revealed anything about his relationship, family to the media. He is a very secretive person. The handsome player, Richarlison makes good money from her work. His net worth and salary are kept in privacy but there is no doubt in the mind of her supporters and followers he is satisfied with his earning. More about Richarlison’s life can be extracted from Wikipedia, encyclopedia. His viewers can follow him on the twitter and remain up close and personal with him. On 9 August 2015, Richarlison signed a three-year sponsorship contract with American company Nike. One of his first soccer schools was about 9 km away from his home. So, he used to run 9 km for his training no matter what the weather conditions were. In his only season with Watford, he achieved the distinction of being the only player in the squad to have played all 38 games in the league for the team.